How Did Backup Generators Keep Cell Phones Working During Hurricane Harvey? Hurricane Harvey was a Category 4 storm that made landfall in Texas on the last days of August 2017. It is said to tie 2005’s Hurricane Katrina as the costliest tropical cyclone ever recorded – with over $125 billion in damage. The storm pummeled the state with over 3 feet of rain and wind gusts of up to 130 miles per hour. Much of its damage came from massive rainfall which resulted in a once-in-a-thousand-years flood event. Cities like Houston did not issue mandatory evacuation orders, and therefore many residents were trapped in their flooded homes as they tried to make contact with first responders. Cell towers that were still functional came in very handy in enabling communication between families and their loved ones, as well as in facilitating rescue operations. Why Are Cell Towers Important In Natural Disasters? 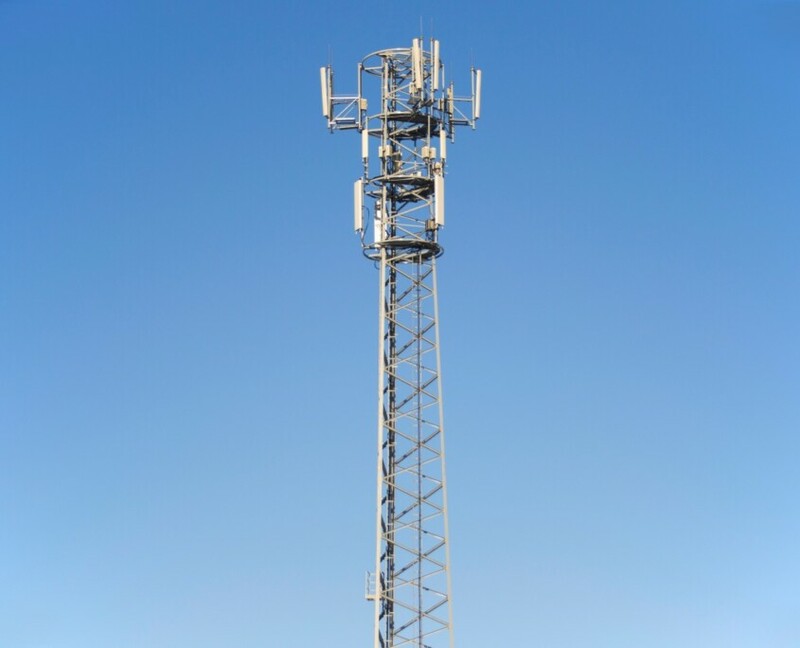 Cell towers play a crucial role in natural disasters or extreme weather conditions, and it’s imperative to keep them operational during these events. Today, people rely on smartphones to make contact more than ever. Fewer people have landlines, and a vast majority uses smartphones for more than just calls – checking news, finding traffic updates, knowing the hurricane’s impact, seeking advice on what to do and finding the location of family and friends are now done via mobile devices. Plus, landline services also didn’t fare as well as cell services during the catastrophe (some TV and radio stations also shut down), so cellular networks proved to be more important. Network carriers have had time to learn from Hurricane Katrina when around 1,000 cell sites were disabled and communication efforts became a nightmare. Now they have backup generators ready to keep cell towers operational for longer periods even after their batteries die down (after around 8 hours). During hurricane Harvey, carriers were better prepared and only a third of cell tower failures occurred compared to Katrina. How Successful Were Network Carriers During Harvey? According to the Federal Communications Commission (FCC), about 4.1% of the cell sites across the affected region were down with the most affected areas being Aransas, Calhoun, San Patricio, and Refugio counties (download the full report here). These counties had been evacuated, so it’s not certain how many individuals were affected by the loss of cell network. However, not all areas were affected evenly. Where Harvey made landfall (at Rockport), 95% of cell towers went down and people were not able to use cell data or make and receive calls. As mentioned earlier, network carriers were more successful in responding to hurricane Harvey than they were with Katrina. The cell tower failures this time around were only a third of Katrina’s damages. Major carriers such as Verizon were able to provide backup generators to their cell towers. They also had refueling trucks on standby to ensure they topped up the fuel in each of their tower’s backup generators. Cell towers commonly use batteries as their backup power sources when there is an outage. Some of them also have generators to provide additional backup power. The generators (typically diesel-powered generators) kick in when the batteries die down, which takes approximately 8 hours. The problem with using generators arises when they run out of fuel or get damaged because of excessive flooding or harsh winds, making them inoperable. Running out of fuel was the primary reason generators weren’t able to maintain power to cell towers during Katrina. However, during Harvey, carriers such as Verizon made sure they deployed extra crews to top up all their generators ahead of the storm. The company also purchased plenty of spare fuel and stationed it at key locations in the hurricane’s path. This ensured that the company’s cell towers remained operational even after their batteries died down. Carriers employed extra efforts to keep their cell networks fully operational during Harvey. Verizon and AT&T, for example, sent out drones to check on their cell towers and determine whether they needed repair services or just refueling. Drones were a safe, faster and simpler way of inspecting the towers without risking the lives of cell tower inspection crews. They also made it possible for carriers to access areas that were heavily flooded and which would have otherwise been hard to reach. Most carriers also provided portable cell towers on trucks to cover for towers that had been damaged in the extensively affected areas. Verizon, together with other carriers such as Sprint and AT&T, also provided free services such as free calls, texts, and data to the affected persons in the hurricane’s path. They also upped their data and call limits, moved their customers temporarily onto their premium plans, and put discounts on cell batteries at local discounts (see the tweet below for an example offer). The carriers’ close collaboration and proper planning helped thousands of families connect with their loved ones in the face of the calamity. Verizon even went further as to set up temporary microwave links that enabled connections over the air in areas where fiber lines linking cell towers to its wired network were damaged. How Can Generators Better Help in Future Disasters? It is evident that generators are crucial in providing backup power to cellphone towers during weather disasters such as hurricanes Katrina and Harvey. However, no regulatory requirement compels wireless carriers to have backup generators at their cell towers. There is also no requirement that this equipment is maintained to certain standards. The FCC tried to impose such conditions after Hurricane Katrina but the wireless industry fought the rules in court and they never took effect. Calling for all wireless carriers to have a backup power is a complicated matter because of various reasons, one of the major ones being that some local regulations forbid fuel tanks and generators in their vicinities. Also, the realization that these are private commercial carriers in the business to make a profit, combined with the fact they receive little in the way of government subsidies for having backup power, further compounds the situation’s complexity. From what was observed in managing cellphone service during Hurricane Harvey, having well-serviced generators at every cell tower will be a significant boost in managing network failure during disasters in the future. In the meantime, carriers agreeing to a voluntary framework that sees them share traffic and help each other during emergencies has yielded excellent results, but there is always room for improvement.